Mads Østberg said in a (rally)podcast (lyktepodden at Spotify and other) that they have tested and going to homologate a totaly new rear suspention, and some other parts to the C3 R5, but its not ready to the next rallies. He also said that it was something fundamentally wrong with the construction of the R5, same stuff like the WRC. Skoda Motorsport is working hard to advance the approval process of the Skoda Fabia R5 Evo, the second generation of the Fabia R5 that has reported so many successes since its appearance in 2015. According to the German Rallye Magazin, this car, which was planned that appeared at the beginning for the Rally of Finland, could already be present at the Rally of Portugal, which will be held between May 31 and June 2. With the Fabia R5 the Mlada Boleslav have taken a good deal of control of the R5 car market, building and selling more than any other manufacturer in the last four years. However, the threat has become palpable with the arrival of the Citroën C3 R5, the Volkswagen Polo GTI R5 and the Ford Fiesta R5 MK8, which should land for this summer. In addition to the updated front to be in accordance with the street Skoda Fabia (which received a facelift in its third generation), the Fabia R5 Evo has a lighter power system and a better 1.6 turbo engine response. There will also be components that are shared with the Volkswagen Polo GTI R5, the other rally model of the Volkswagen Group. Skoda Motorsport is expected to align both Kalle Rovanperä - its main driver in the WRC2 Pro category - and the current WRC2 world champion Jan Kopecky. The veteran Czech pilot will carry out a program similar to that of other years, representing the brand in the national championship (being the favorite to win the title and the flag bearer of the new Fabia R5) while competing in some World Cup events. Right now probably yes.. Polo seems faster but has reliability problems. But new Fabia is coming which might close any performance gap. On the other hand we have new Fiesta coming and maybe an improving C3 too if Ostberg has taken them in the right direction. 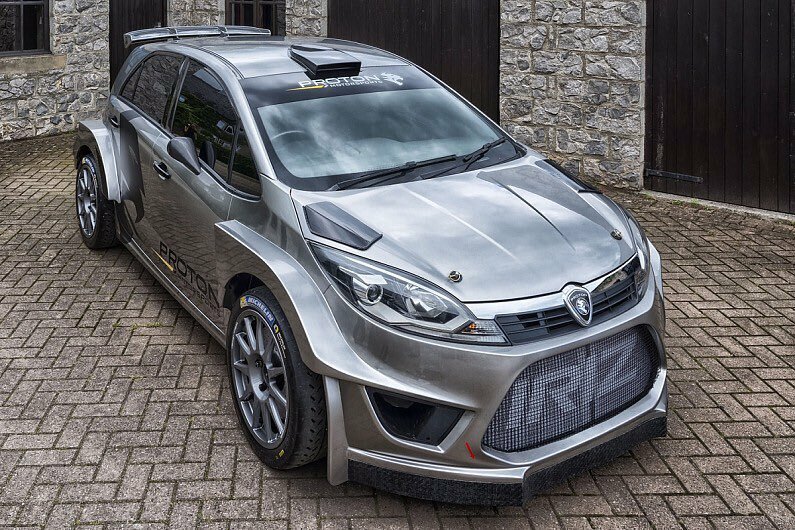 Eugene Donnelly will bring the first R5 Iriz to Ireland and their first outing will be the Easter Stages. Complaints from their clients activate intervention in the Polo R5 ..
Sven Smeets, responsible for the German sports area, announced that work is underway to improve the car's steering system, which has been repeated since its appearance in competitions. The claims have been accumulated and for this it has already been defined the renewal thereof, with maintenance by the company. "... To avoid more problems with the current components, we have halved the maintenance interval and additional revisions, which do not entail additional costs for our customers." Toyota Gazoo Racing, headed by Tommi Mäkinen, is targeting the R5 market. In the Rally World Championship, R5 cars compete in the WRC2 and WRC2 Pro categories. In addition, the R5 races form the rally in the EM series and most national rally series, such as the SM series. Toyota has been successfully competing in the World Series with its WRC car, which reached the manufacturers' World Championship title last season. In Puuppola, WRC games have been developed and built only for the team's own use, but the R5 market is opening new doors. Factory teams make R5 cars mainly for customer use, ie sell them to private teams. By the end of last year, Skoda Motorsport had sold 282 Fabia R5 drivers, and the Ford Fiesta R5 cars built by M-Sport have also been sold. Of the major car manufacturers, Citroen, Hyunda, Peugeot and Volkswagen also have their own R5 Rally Cars. Skoda and M-Sport will launch new versions of their R5 cars in the summer. Toyota is coming to take his wings from the cake. - Plans are at a great pace. We are supposed to do it (car of the R5 rating), Mäkinen reveals to Rally. Mäkinen is not yet telling the stage of car design. However, one can read between the lines that it is not in its infancy. - You have to look at where more of this is told. There have been plans and discussions about how this is going to take you for some time now. Clearly, Mäkinen does not want to talk over his mouth and carefully consider his choice of words. But one thing is clear: Puuppola is strongly involved in the development of the car. "The project is probably going to be a bit like that," Mäkinen nods towards the Toyota Yaris WRC. - Possibly this will be taken forward by Finnish, Japanese and German forces, Mäkinen adds. In practice, this means that Mäkinen's outfit in Puuppola is responsible for the design and development of a new rally car. The engines are likely to come from the German Toyota Motorsport GmbH, which also produces power sources for Yaris WRC cars. Volkswagen Motorsport has responded favorably to the repeated problems that the Polo R5 showed in its management during the last weeks. To this end, the manufacturer notified its customers that the interval for reviewing the units has been reduced by half. Sven Smeets, director of the sport branch of the brand, also confirmed that additional analysis will be done in the direction. It should be noted that this item is manufactured and supplied by the Italian company Sportech. During the opening of the European Rally Championship (ERC), the Volkswagen Polo R5 of the German Marijan Griebel and the Hungarian Norbert Herczig suffered inconveniences in the direction, which seriously complicated their performance. Just a week later, the French Volkswagen Nicolas Ciamin and the Polish Kajetan Kajetanowicz suffered exactly the same problems in the Tour de Corsica, fourth round of the WRC. On the other hand, the Polo R5 of Andrea Crugnola also suffered a failure in the direction during the Rally Il Ciocco, first date of the Italian national of rallies. Faced with this situation, Smeets confirmed to the German medium Rallye Magazin that Volkswagen Motorsport will act accordingly. "We take the needs of our customers very seriously and are already working hard on an improved version of the address. To avoid more problems with the current components, we have halved the maintenance interval and will make additional revisions to the address without extra costs for our customers. " "We are in constant communication with our customers and we take the problem very seriously," said Jan-Gerard de Jongh, responsible for the R5 project at Volkswagen. "Now we have to analyze exactly where the cause is. Either a fundamental problem or a defective parts delivery ". The direction of Polo R5 is supplied by the Italian company Sportech, which belongs to the former WRC designer, Mario Fornaris. It is not a minor fact to remember that this supplier also equips the Skoda Fabia R5, whose concept was the inspiration for the Polo R5. Technically, the direction of the two vehicles is almost identical. However, the Volkswagen is based on the new platform of the Group, which is half a size larger than that of the Skoda. To adapt the direction to the widest frame, the steering mechanism of the Polo R5 should be longer. This phase shift could be related to the reason that caused the repeated failures in the last rallies of the WRC, ERC and Italy. For now, the accurate analysis of the damage is already underway, De Jongh said: "We are working hard to understand the exact cause and correct the error. If necessary, we will also use a joker to solve the problem. " Apart from this situation, Volkswagen Motorsport could also begin to be involved in a strange fault that the Polo R5 accused during the last Trans Itapúa Rally, valid for the first date of the Paraguayan rally national and the second of the FIA ​​CODASUR contest. The multiple Paraguayan and South American champion, Gustavo Saba, had to leave in the first stage of the event after a disconcerting detachment of the rear suspension grille on his Polo R5. The pilot himself had been very concerned about the damage. "We have problems with the suspension grid. Without having hit anything, it is detached. Obviously there are problems with the manufacture of the pieces, "said Saba on Radio La Deportiva, with a clear confusion and nervousness. It happens that this same problem was the one that led him to defect at the opening of CODASUR, carried out last month in Misiones, Argentina. Strikingly, the breakage and subsequent loss of the suspension grid was also the cause that led to the abandonment of Miguel Zaldivar in the Trans Itapúa Rally. It should be noted that the Paraguayan is a user of another of the Polo R5, in this case, it was a unit that was released for this event. The direction of Polo R5 is supplied by the Italian company Sportech, which belongs to the former WRC designer, Mario Fornaris. It is not a minor fact to remember that this supplier also equips the Skoda Fabia R5, whose concept was the inspiration for the Polo R5. Technically, the direction of the two vehicles is almost identical. The suspension layout of the two cars can not be more different within the existing rules. Polo R5 suspension is based on the concept of Fabia S2000 not the R5 which is completely different and I believe that one of the reasons why it is different was to get rid of the power steering issues. It's a simple fact that the higher castor the higher forces in the steering hence why steering issues are well known with most of the cars with so heavily inclined front struts.